Forever Barnwood boards and planks are crafted with an authentic 100-year-old barn in mind, just like the one that has been handed down over generations. 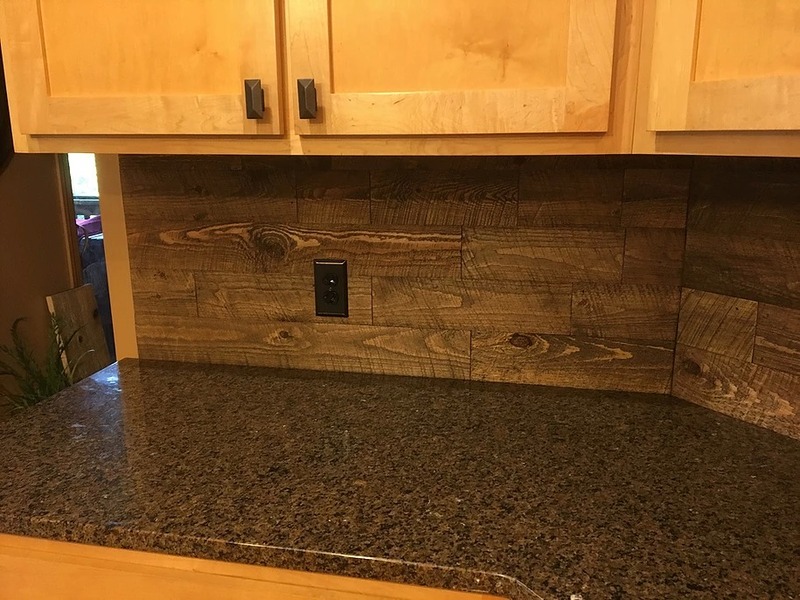 All of the boards have a true weathered appearance with vintage knots, colors, the old rustic surface appearance, and all the characteristics. You will swear that these boards were just pulled straight off the barn. 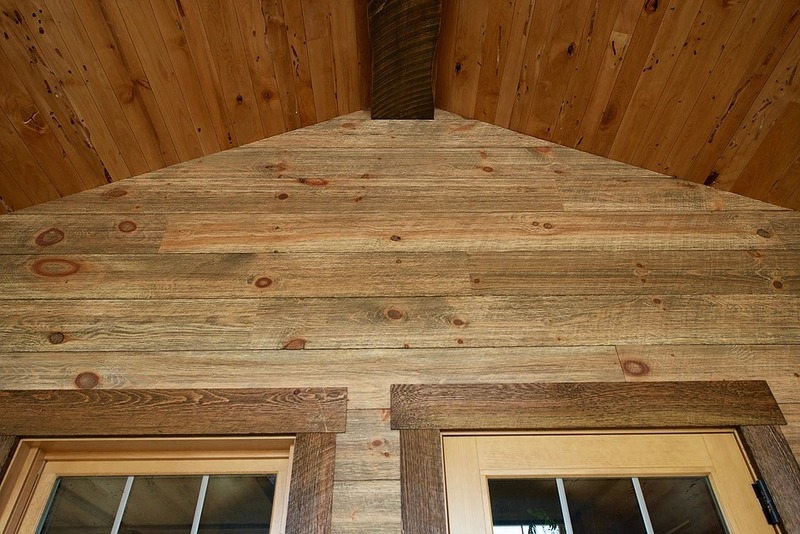 All of the products offered in Forever Barnwood are kiln-dried to add structural stability to both planks and boards. The dimensional lumber comes in a variety of sizes and colors. The colors include, Traditional, Desert Burn, White Wash, Red Barn, Century Gray, and Patina Gray. This is Forever Barnwood’s take on the classic shiplap siding profile. Among one of the most popular looks due to its uniqueness, shiplap is sure to catch an eye or two in your home. This product can add a bit of excitement to any project whether you are installing it as a whole room or just an accent wall. This products purpose is to give you a cleaner, more modern look. This shiplap will still offer the look associated with 100-year-old barnwood, just more uniform. You may be wondering why this is a 4 in 1 product. The reason for its name is because it can offer both a traditional nickel gap on one side and then a tongue and groove finish on the flip side. This shiplap product is offered in 8’ lengths and – 4.25” – 6.25” & – 8.25”. 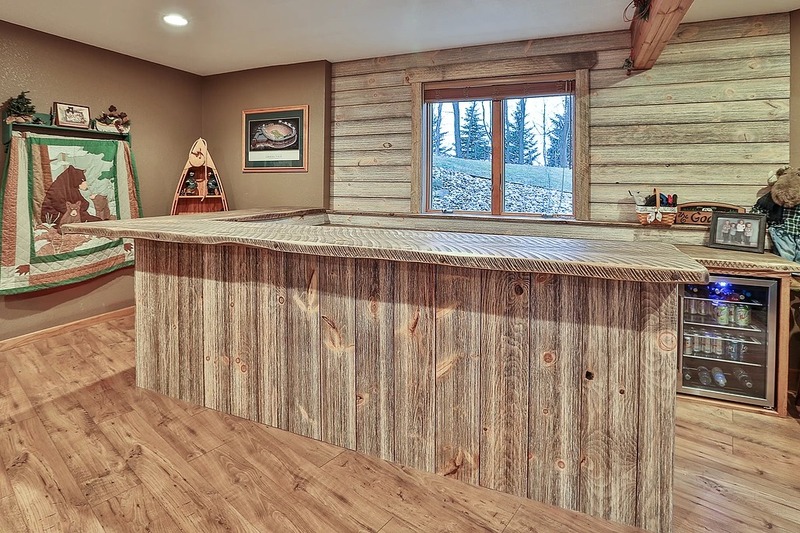 Similarly, to the dimensional lumber, the shiplap comes in the colors of Traditional, Desert Burn, White Wash, Red Barn, Century Gray, and Patina Gray. The DIY Barnwood Box is for both the home DIYer and the weekend warriors. It was specifically designed and created for all DIYers to save you on hiring outside help. This is a glue on product, which not only saves on other materials, but can be installed without any aid. Another perk of this product is that it is completely reversable. One side comes with the original circle saw marks and the flip side comes with Forever Barnwood’s weathered texture. Typically when you buy lumber you must account for a small percentage of waste as well. With DIY Barnwood Box each box is completely usable, with no waste and each piece is cut to random lengths. 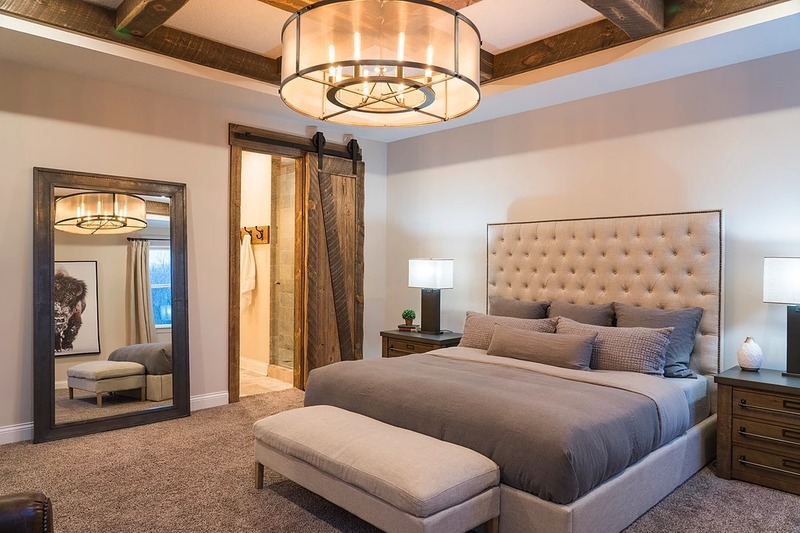 Forever Barnwood has produced a one of a kind Rustic Barn Door that is perfect for any residence or business. They offer numerous door styles, but with that it allows you to create your own signature design. Forever Barnwood also offers the option to add a glass feature to the doors as well. Each door is hand built, which means no two doors are truly ever the same. The doors will never warp due to the fact that they are a full 2” thick. These doors are available in all of Forever Barnwood colors and come in a variety of sizes. 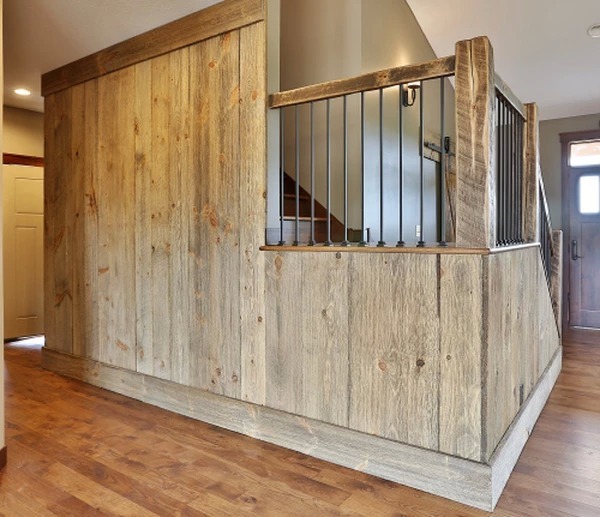 Forever Barnwood has a long list of products that vary from timber posts and beams, mantles, flooring, newel posts, handrails and balusters. If you would like to learn more about the products feel free to call in, but these will be special order products and the turn around time will be a little longer than the other products. 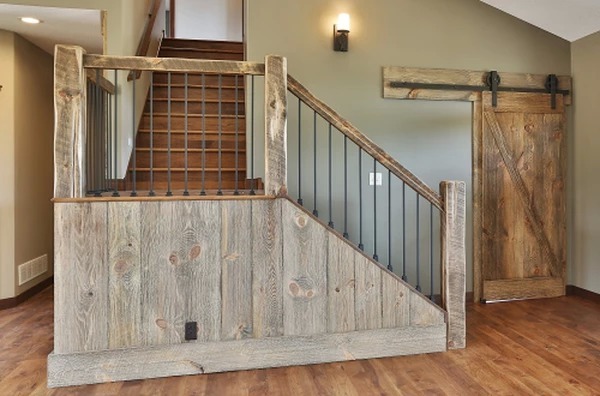 Any accessories, door tracks, or hardware can also all be ordered from Forever Barnwood. 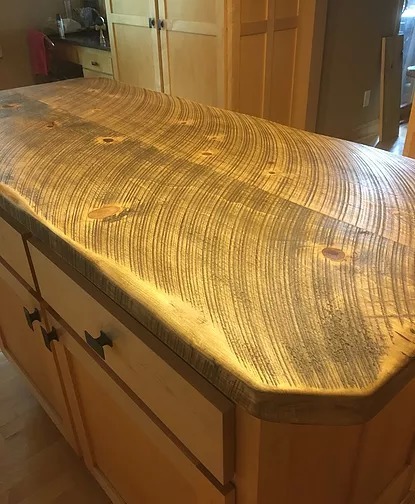 Whether you are doing a small addition to an already complete house, or you want to rip up a whole room and redo it with a rustic feel, Forever Barnwood has more than enough for any project.